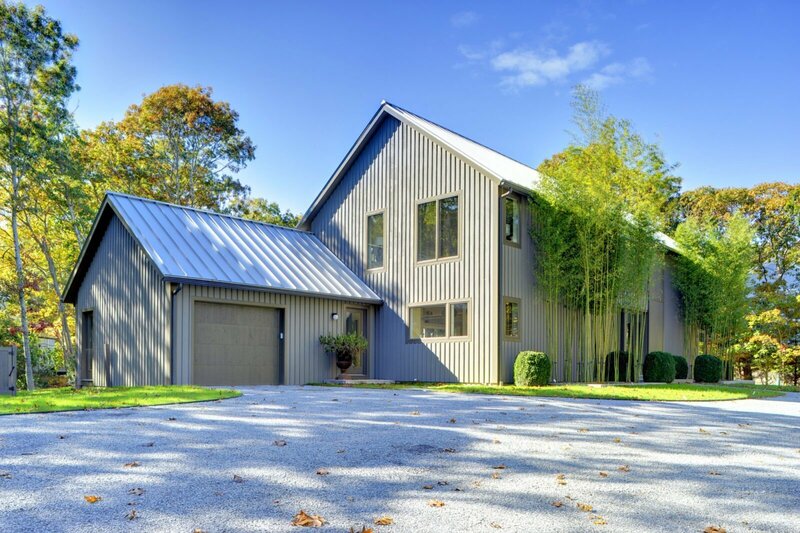 Yankee Barn Homes is pleased to present the completion of a new barn home, Oyster Shores. 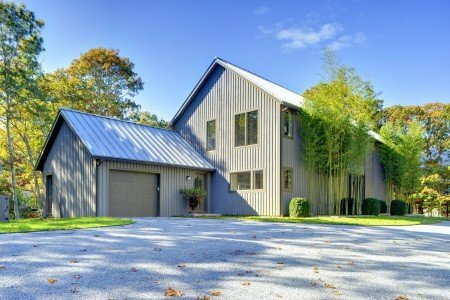 A contemporary style barn house with iconic barn exteriors, Oyster Shores has a fresh interior that utilizes clean lines. 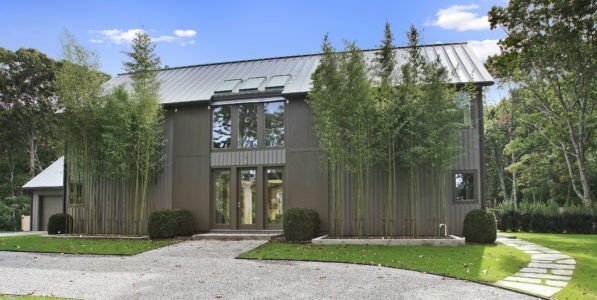 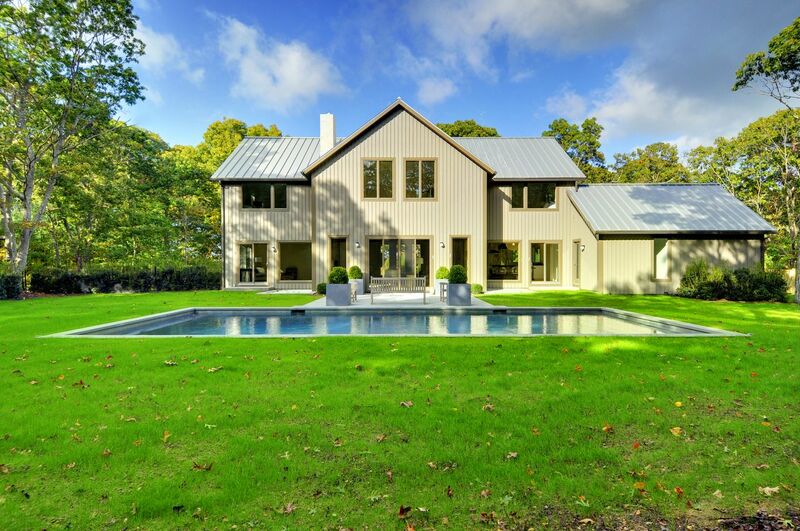 Designed by Jeffrey Rosen, creative director for Yankee Barn Homes, the barn is located in East Hampton, NY. 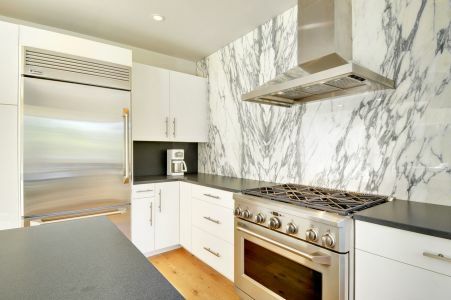 The amount of exposed timber on the interior is consciously minimal, white oak floors have no color applied, and walls, doors, and ceiling are purposely done in a palette of pale grays.